At this afternoon’s meeting of the Conservative Agenda, Political Insiders were asking Beloved Whistleblower Publisher Charles Foster Kane about the popularity of The Whistleblower Fax Edition during the 1990s. Seen here is Cincinnati Compost Photographer Bob Dickerson’s photo of Cincinnati Clowncil-man Windbag sneaking a copy of that day’s Blower to fellow Clowncilman Tirade Yates (Now a Hamilton County Municipal Court Judge) behind the back of Odd Todd Opportune (Now a Hamilton County Commissioner). 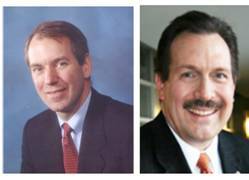 Complaints are continuing to arrive from Complainants who were not specifically mentioned in Sunday’s Annual “Mea Culpa” E-dition, like Hamilton County Board of Revision Members (Hamilton County Treasurer Robert A. Goering and the above mentioned Odd Todd Opportune, President of the Hamilton County Board of Commissioners). Maybe they saw Saturday’s “Artis Conception Gallery” E-dition featuring Our Disingenuous Double-Dipping DemocRAT Auditor Who Still Hasn’t Explained Exactly How His Office Came Up With Its So-Called “Fair Property Values” For Your Jacked-Up Property Taxes, in honor of the March 31 deadline for over-taxed payers to mail their Notarized Complaints to the Hamilton County Board Of Revision. 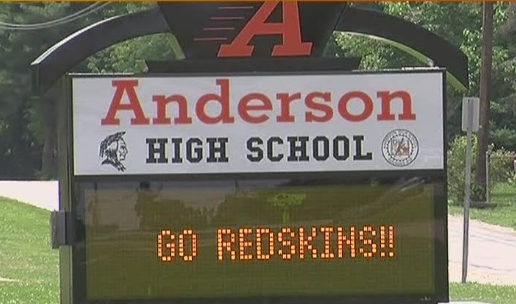 How many people will be showing up for festival seating at tonight’s Anderson Apocalypse Meeting being conducted by the Forest Hills School Board where replacing the oh-so politically incorrect Redskins Mascot is being used as a just another diversion from serious financial matters caused by the School Board’s deception on that building levy. What Anderson people should really be questioning is why their school has been left in such an unfinished state. Was the contractor on AHS really non-performing or are they out of money and looking for a scapegoat? How much of permanent improvement money was diverted to the levy projects instead of being accumulated for future needs? How much time should be devoted to the faux outrage of a few Loony Liberals? 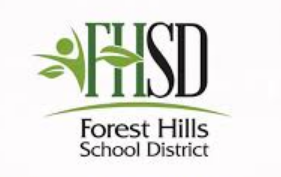 The Forest Hills School District should be challenged on something that matters. Is this bigger than lying to voters about how much they would benefit from a huge building levy? Is this bigger than decision-making locked in the past, students having to attend class in deplorable half-finished buildings, and massive cost overruns? Is this bigger than failure of the school district to organize buildings and infrastructure to significantly improve the delivery of education to students, cut operating costs, and keep tax bills reasonable? The mascot issue is not even in the same ballpark as that stuff. Neither was adult employees sexting. But both take people’s minds off what they don’t want to face – that they have supported their elected leaders in leaving the district in a deep hole of mediocrity the over-taxed payers will be digging out of for a long time. This entry was posted in Uncategorized and tagged Anderson Apocalypse Update, Artis Conception Gallery, Conservative Agenda, Forest Hills School District, Hamilton County Treasurer Robert A. Goering, Jacked-Up Property Taxes, Missing Mea Culpas, Odd Todd Opportune, Politics Unusual, Redskins Mascot, Tirade Yates, Windbag on April 2, 2018 by charlesfosterkane.